You can perform a swap rebalance to upgrade your nodes to Couchbase Server without reducing the performance of your cluster. If you are unable to perform an upgrade via swap rebalance, perform a standard online upgrade as explained in Upgrading . Ideally, you will need at least one extra node to perform a swap rebalance. First back up the whole cluster. Remove one node from the cluster by selecting Manage > Server Nodes > Remove Server . Install the latest version of Couchbase Server on the extra node that is not part of the cluster. For instructions see Upgrading one node . Create a backup of your cluster data using cbbackup . See cbbackup tool . Open the Couchbase web console at an existing node in the cluster. Go to Manage > Server Nodes . 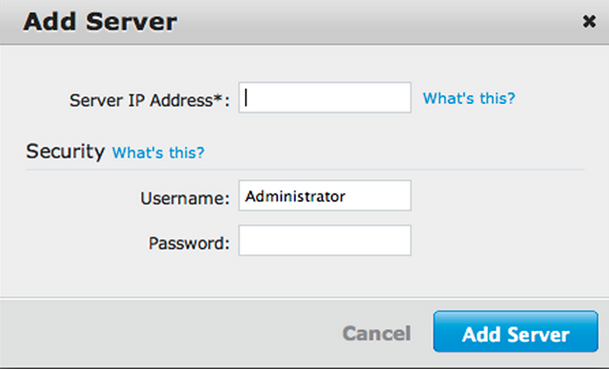 In the Add Server dialog, provide either a host name or IP address for the new node (At this point, you can provide a hostname for the node you add). Enter your username and password. Under Server Nodes > Server panel , click Remove Server for the node you want to remove. This will flag this server for removal. In the Server panel, click Rebalance . This automatically takes all data from the node flagged for removal and moves it to your new node. Repeat these steps for all the remaining old nodes in the cluster. You can add and remove multiple nodes from a cluster. However, always add the same number of nodes from the cluster as you remove. For example, if you add one node, remove one node and if you add two nodes, you can remove two. Until all nodes in a cluster are upgraded from 1.8.1 or earlier, features in the new Couchbase Server release are disabled. This means views or XDCR do not function until all nodes in your cluster are migrated. After all nodes are upgraded, the features are enabled.